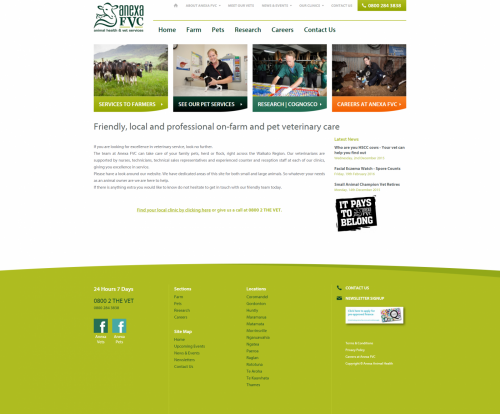 This website is designed to promote the products and services offered over multiple locations throughout the Waikato. It is self editable and mobile friendly. One of the friendliest and experienced teams of vets, technicians, vet nurses and managers in the industry. 14 well-equipped clinics throughout the entire Waikato region ensuring your needs are always well catered for. "Able to order so quickly and easily is music to my ears!"